Guests can sample taco cuisine, watch wrestling matches, enter a hot pepper eating contest, and listen to live music. The MorongoTaco Fest features 25 of the best taco chefs from Los Angeles and the Inland Empire. 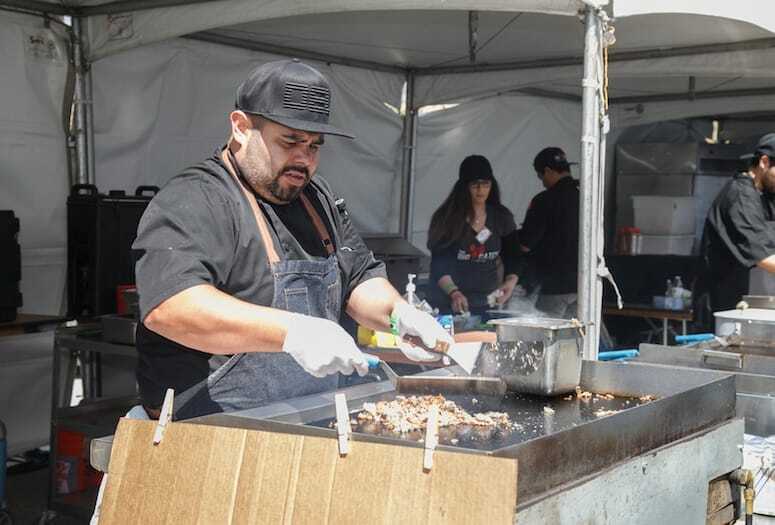 Mouth-watering taco creations prepared by more than 25 of the best taco chefs and vendors from across Los Angeles and the Inland Empire will rule the day at the third annual Morongo Taco Fest on May 18 at the Morongo Casino Resort & Spa in Cabazon. Matches by the masked Lucha Libre wrestlers, live bands, premium tequila, refreshing margaritas, a Hot Pepper Eating Contest and other games are planned for the Morongo fiesta, which has emerged as one of Southern California’s biggest and best taco fests. Guests can devour traditional tacos stuffed with carnitas, carne asada, chicken or shrimp, or Asian and Mediterranean inspired offerings filled with duck and other imaginative fusions. Top taco chefs slated to be serving their ‘muy delicioso’ creations will include the festival’s two-time defending “Best Taco” champion Rosa Maria’s Mexican Restaurant, as well as Mapuche Native Argentinian Food of Los Angeles, White Rabbit Filipino Fusion Kitchen, Jaliscos Mobile Taco Grill from Moreno Valley and many more. Signature salsas, creamy guacamoles, and other culinary delights from South of the Border will also be celebrated at the fiesta, which runs from 11 a.m. until 6 p.m.
Tickets are on sale now through Ticketmaster and at the Morongo Box Office for $10 each. Tacos and other food and drinks at the event will be sold separately. Morongo Casino Resort & Spa, 49500 Seminole Drive, Cabaon, 951-849-3080; morongocasinoresort.com.